Business Meeting: 1st Tuesday of the Month 7:30 p.m.
Social Potluck: 3rd Tuesday of the Month 6:30 p.m.
7:30 p.m. and family night, which is usually a potluck dinner and a time where everyone can enjoy fellowship, is every third Tuesday of the month at 6:30p.m. 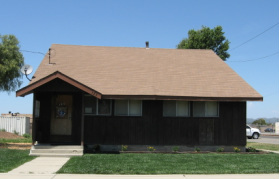 Our council has been active since it was established on November 18, 1952. We are committed to the exemplification of charity, unity, fraternity, patriotism, and defense of the priesthood. The Order is consecrated to the Blessed Virgin Mary and is unequivocal in its loyalty to the Pope. It is firmly committed to the protection of human life, from conception to natural death, and to the preservation and defense of the family. Brother Knights work to fulfill the central mission of the Order: striving in charitable works; serving the Church and unified in following its teachings; supporting brother Knights in their temporal and spiritual needs; acting for the good of their country; and giving aid to widows, orphans, the sick and the poor. We have assisted in fundraisers for the church, school and community. We are Eucharistic ministers, ushers, and teachers and we are looking for new members. _ On October 2, 1881, a small group of men met in the basement of St. Mary's Church on Hillhouse Avenue in New Haven, Connecticut. Called together by their 29-year-old parish priest, Father Michael J. McGiveney, these men formed a fraternal society that would one day become the world's largest Catholic family fraternal service organization. They sought strength in solidarity, and security through unity of purpose and devotion to the holy cause: they vowed to be defenders of their country, their families and their faith. These men were bound together by the ideal of Christopher Columbus, the discoverer of Americas, the one whose hand brought Christianity to the New World. Their efforts came to fruition with the incorporation of the Knights of Columbus on March 29, 1882. They were the Knights of Columbus. The Order has been called "the strong right arm of the Church," and has been praised by popes, presidents and other world leaders, for support of the Church, programs of evangelization and Catholic education, civic involvement and aid to those in need. 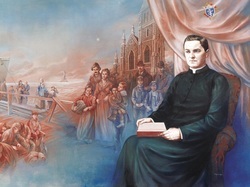 Father McGivney's founding vision for the Order also included a life insurance program to provide for the widows and orphans of deceased members. The Order's insurance program has expanded substantially to serve more effectively the Knight's growing membership. Year after year, the Knights of Columbus has earned the highest possible quality ratings for financial soundness from A.M. Best and Standard & Poor's. The order provides the highest quality insurance, annuity and long-term care products to its members, along with many other fraternal benefits. The Supreme Councils is the governing body of the Knights of Columbus and is responsible for the development of the organization as a whole.